If it is, you know how hard it can be to keep up with all of the latest news from the different social platforms. Things changing constantly can make it difficult to craft a cohesive social media marketing strategy for your business. Have no fear - I've put together 50 amazing social media marketing ideas, strategies & tips to help you put together a successful social media marketing plan. I'll cover 10 takeaways each for Facebook, Twitter, Instagram, Snapchat, and YouTube. Interacting with your fans in real-time adds a layer of honesty and “realness” to your social media marketing. Running, for example, a live interview to answer fan questions or to preview your newest line of products adds to the fan experience by creating a channel where you can engage your audiences right away, driving interest in your brand. Content marketing is a big marketing strategy for brands everywhere - and social media is a great outlet to share your content. Though you could just link straight to your content, previewing some of the content you’re sharing in a short video or picture (like an infographic) can help to pull viewers in and drive traffic from social channels (like Facebook) to your blog. If you’ve been on Facebook recently, chances are memes have been taking your News Feed by storm. You’ll also notice that most of the comments are people tagging friends they think would like the post - kind of the modern-day equivalent to forwarding a chain email to friends. Post a funny, relatable picture that’s relevant to your product or brand and encourage fans to tag their friends - this helps to spread brand awareness without feeling overly promotional. Providing value in the form of discounts or coupons on your page keeps current fans interested, and can convince others to interact with and Like your page. 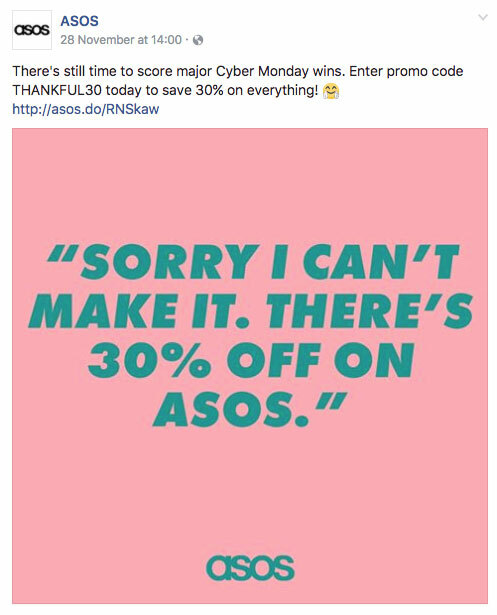 Though your regular content can be exciting, remember that your end goal is likely to drive sales - introducing Facebook-only coupons can help to increase social engagement and turn passive Facebook fans into customers. There’s also the added possibility that fans may share the discount with their friends, spreading awareness and raising sales even further. As marketers, we know by now that social media isn’t just a platform we can use as a content megaphone. We’re responsible for using it to create and maintain connections with your customers to strengthen our brand and keep fans around. It’s also happens to be a popular place for customers with complaints to vent their frustrations. Respond to your customers’ complaints and concerns on Facebook. Avoid being defensive - use it to listen to and solve their problems, and you’ll see you can turn a bad situation into a brand-building opportunity. Something Facebook subtly introduced this year was an added array of “reactions” that people could use in place of the standard “Like”, including “love”, “haha”, “angry”, “sad”, and “wow”. Get users engaged by posting an image asking fans to vote for an option using the reaction buttons. For example, a protein bar company might ask fans what their favorite flavor is by saying “press Like for peanut butter or Love for chocolate”. This not only increases engagement, but also helps you gain insight into the minds of your consumers. 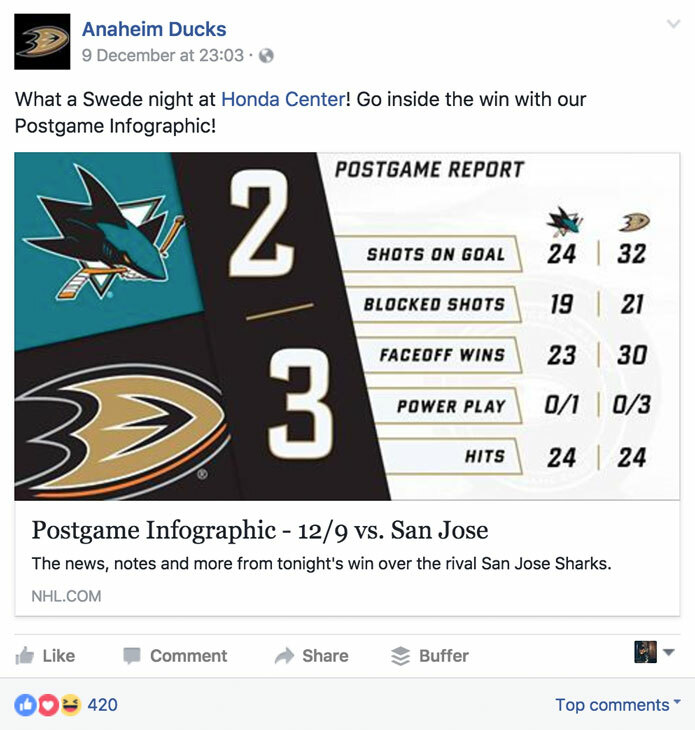 Though Facebook isn’t usually the best place to post dense or numbers-heavy content, you can circumvent this by creating and posting visually-appealing infographics. 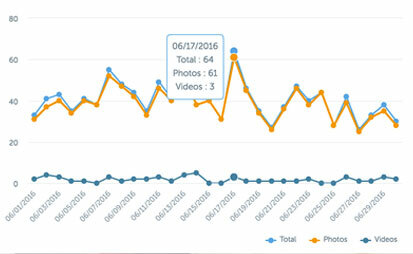 Take interesting statistics and turn them into easily-digestible - and shareable - visual content. This is a great way to inform customers about your product and industry in a way that’s not overbearing. Use this tactic sparingly, for information you know your customers will be surprised by or particularly interested in. Tweeting constantly is the best way to ensure you remain relevant by increasing the likelihood that you’ll show up on your followers’ Twitter feeds. It also shows people that you’re active on the platform, and allows you to space out your content easily without running into periods of content overload (or drought). 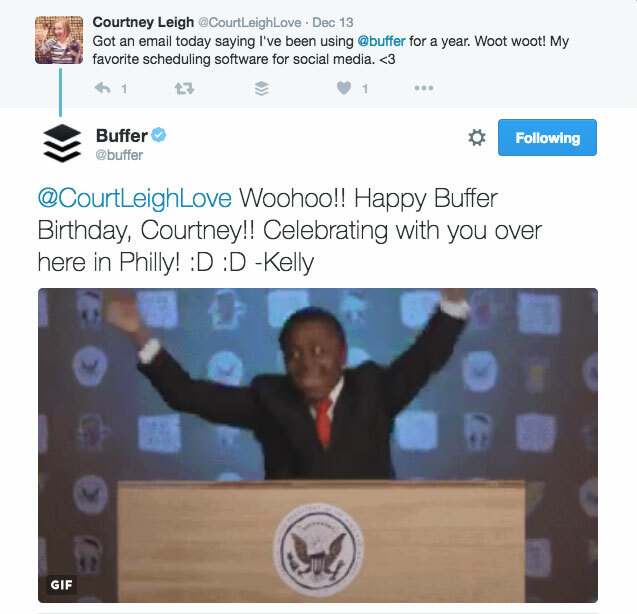 Using a tool like Buffer also allows you to track metrics for your links, so you can see which of your Tweets are receiving the most engagement. 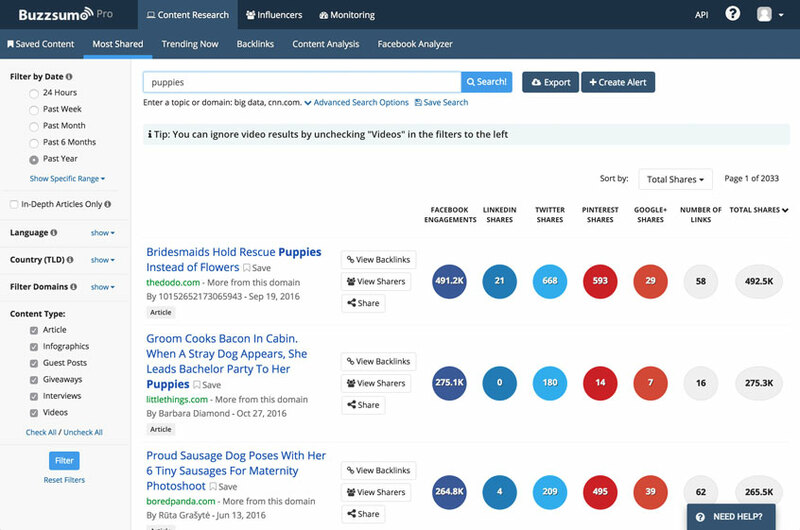 If you like to share content from other places, use a service like BuzzSumo to find content with proven engagement. Use keywords relevant to your brand or product to look for content your followers will enjoy, and share the top posts. Because BuzzSumo has metrics on the most engaging posts for each keyword, it gives you a foolproof way to share content that’s interesting to readers. Tools like BuzzSumo (or other analytics platforms) also allow you to identify influencers - people with large followings. If you have a high-value piece of content you want to share with the world, it’s a good practice to reach out to influencers who follow you (or share content like yours) and ask them to give yours a share. More often than not, they’ll be willing to do it, helping to disseminate your content in different social media circles. Twitter can be a great medium to hold discussions with your social media circles. If it fits your brand, hosting a live chat or round table is an awesome way to learn more about your consumers. 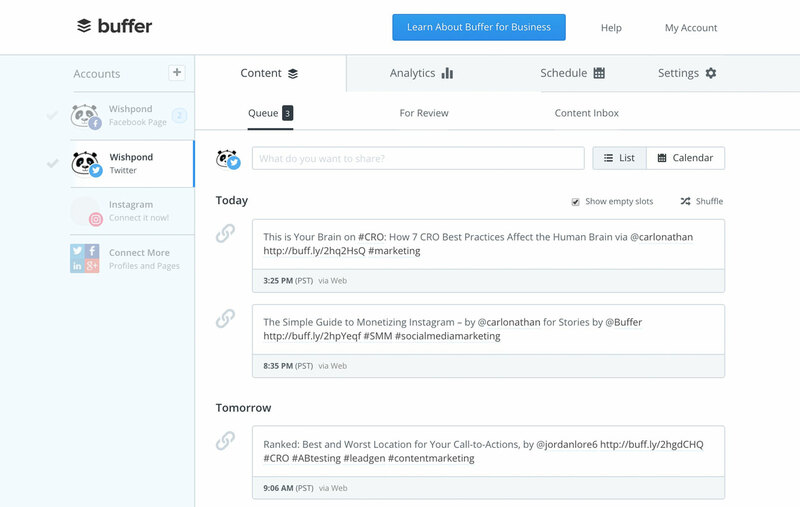 Companies like Buffer host weekly chats, with different questions and discussion topics for each chat. 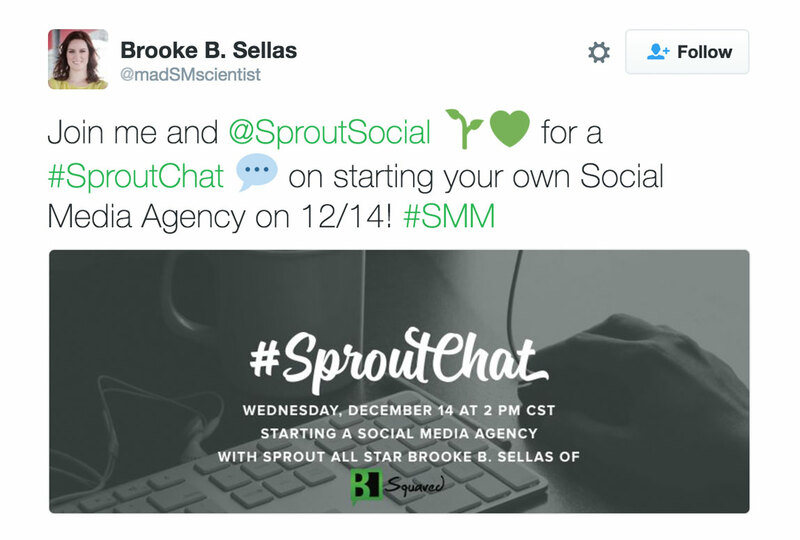 These chats are all linked by a hashtag, making it easy for participants to follow along. 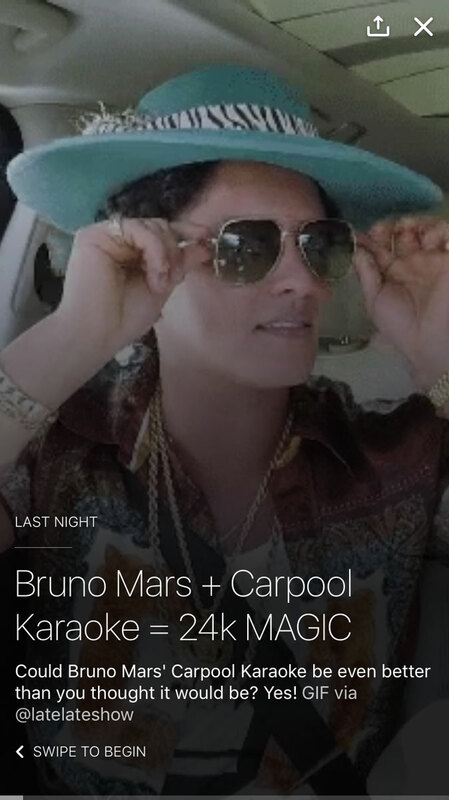 Twitter recently made their “Moments” feature available to all users, meaning it’s easy to compile a selection of Tweets, photos and videos to create a seamless experience for viewers. If there’s a specific campaign you’re running, take Tweets from your various accounts (and followers if they send you content) to create a Moment that summaries the campaign. Share this Moment with your followers to easily share the entire experience with them. 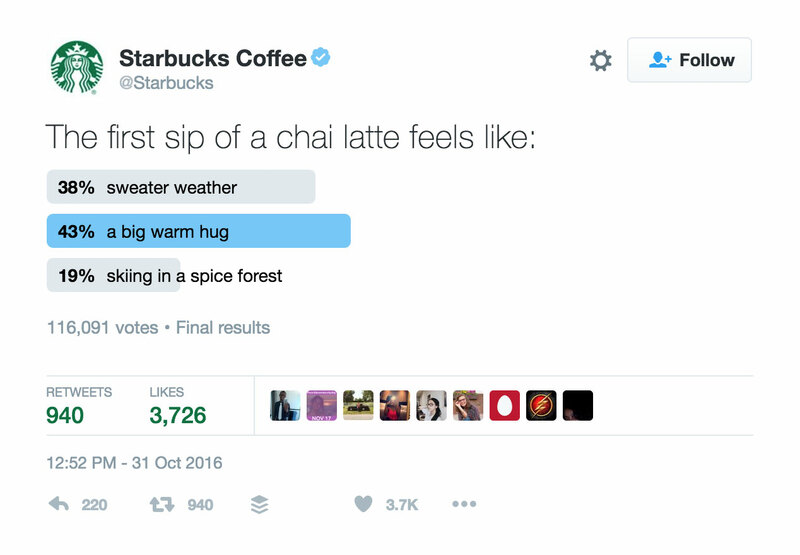 One of Twitter’s less-used features is Twitter Polls. They’re engaging and easy for followers to interact with, meaning running a poll is a good way to drive engagement and start a discussion with your customers. Though the options are endless, some creative uses include letting followers make decisions for you or vote on an item to go on sale. Play around with Polls and see if they have a positive effect on your engagement. 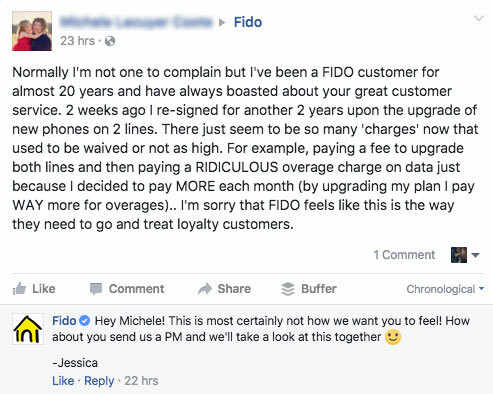 One of the most common things I see from brands replying to users on Twitter is a tone that’s a bit too customer service-y. Mix it up a bit when interacting with fans on social medias by responding with funny images or GIFs. Not only does this make your brand feel more personable, it also increases the chance that they’ll retweet your Tweet, leading to increased brand awareness. Twitter owns Periscope - arguably the most popular livestreaming app - which means you can embed Periscope streams right in your Twitter feed. Make sure you host your livestreams on Twitter in addition to other platforms like Facebook Live to increase their reach to your other social platforms. Twitter’s feed algorithm also seems to prioritize videos from Periscope, which can help your account out a bit. Add some flair to your content strategy by retweeting or re-uploading content that your users have sent to you about your brand or product on your Twitter account. Though it won’t do much in terms of sending traffic to your website or driving sales, it shows that you care about your fans and followers and helps to strengthen your brand. 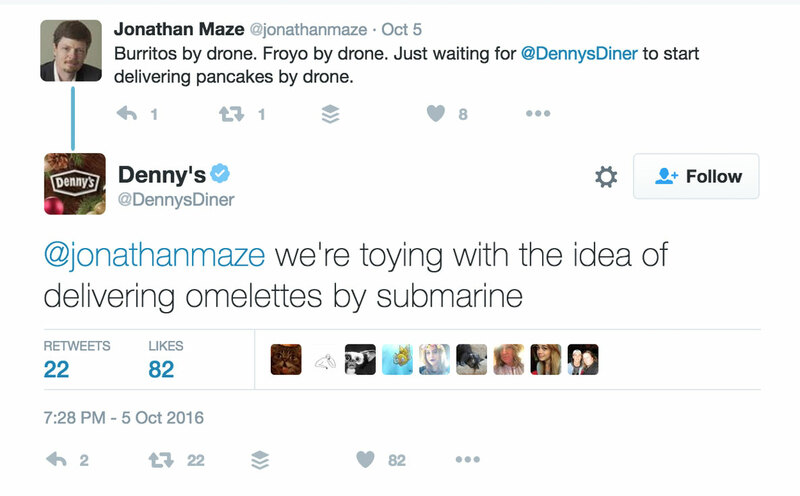 One common thread linking the best brands on Twitter is that they take the time to engage with their followers and fans, even if some of them have millions of followers. Though you don’t need to reply to every Tweet you receive, retweeting brand-related content from fans or answering questions from followers is a great way to show your social media audience that you care about what they have to say. Instagram is the palace of the influencer - its users religiously follow high-profile ‘grammers for inspiration in areas like fashion, food, and lifestyle. 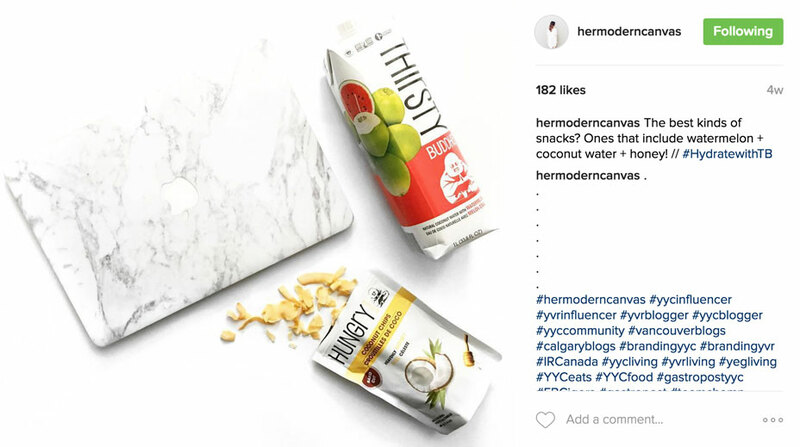 Partnering up with an influencer that has a large following in your target market to created a sponsored post is one of the best ways to share your brand and product with new potential customers. Reach out to influencers and send products to those who are interested, so they can share their thoughts with their followers. Once you’ve cultivated a strong enough relationship with some influencers, you might want to move to the next step: a takeover. Get your chosen influencer to take over your Instagram account, posting pictures as they’re at an event or throughout the course of their day (“a day in the life”). Make sure your influencer teases the takeover on their own profile so their fans follow your brand as well. 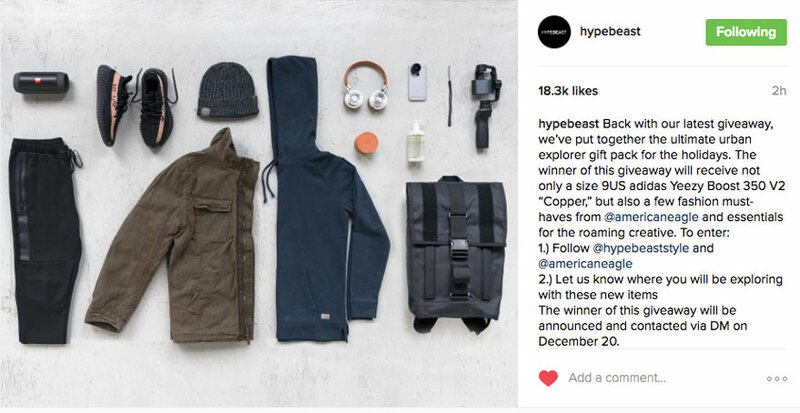 We’ve touched on the effect giveaways can have on your social media engagement and brand awareness, and Instagram is another great platform to run contests on. Partner up with a another (non-competing) brand in your industry to offer a prize package of your best products. You can run a few types of contests - I’d recommend a photo contest, to help you collect user-generated content that you can share on your profile in the future. 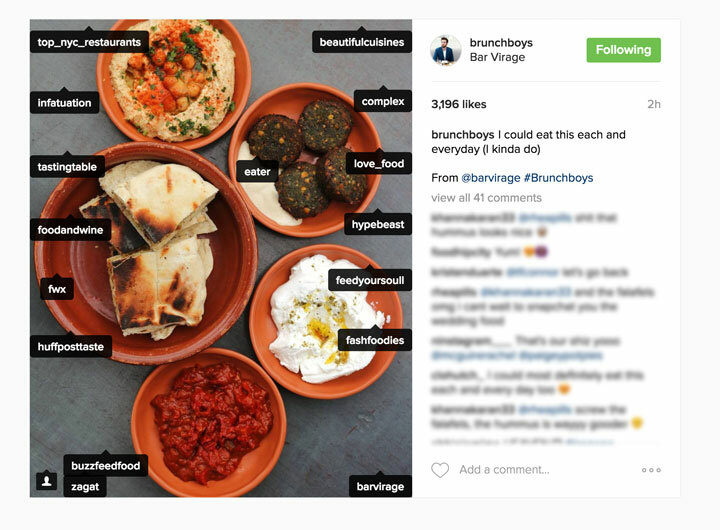 Tagging big accounts in your Instagram posts (the photo itself, not just the caption) is an effective way to get your account noticed by others. Find high-profile accounts in your industry and tag them directly in your photos. This puts your photo on the feed of photos they’ve been tagged in, increasing the likelihood that someone who doesn’t currently follow you will stumble upon your account. Because you’re only tagging accounts related to yours, people who come across it will be more likely to be interested in your brand. Though Instagram Business accounts get access to some analytics, you might want to consider using a platform like Iconosquare to drill down on your Instagram performance. In addition to helping you manage your content output with scheduling, you can use these analytics platforms to measure follower growth, post engagement, and optimal post timing. 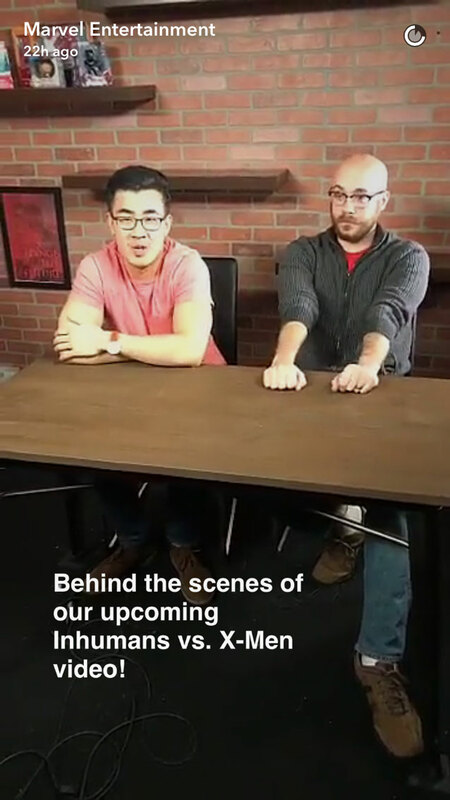 Instagram recently made their Live video broadcasting feature available to all users. 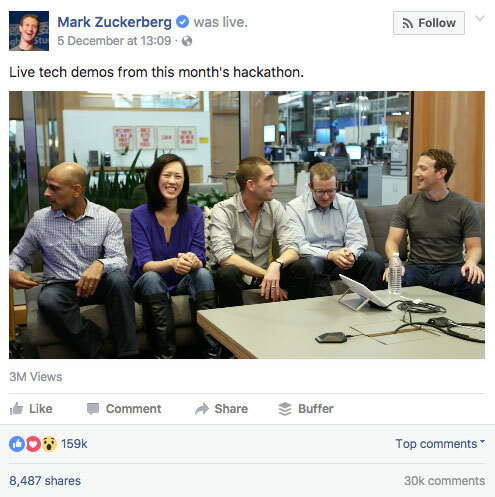 You might be inclined to ask what sets it apart from Facebook Live or Periscope - the primary difference is that Instagram videos aren’t stored anywhere, meaning your viewers can only watch when you’re truly live. Use Instagram’s live video broadcasting to run quick Q&As or share information on a flash discount - get creative with it and see how your followers respond! If you’ve got an e-commerce shop, consider using a platform like Like2Buy Have2Have.It to make it easier to link your Instagram posts to product pages. Using one of these means you can have a single link in your bio that brings followers to a shoppable replica of your feed. Put a CTA in each of your product posts saying “check out the link in our bio to get [product]!” These platforms also have analytics, helping you measure the effectiveness of your Instagram marketing. I love when brands use their Instagram Stories as an extension of their marketing strategy. There are tons of great ways to utilize your Story - one of the best ways is to share “flash” coupon codes with your followers. You can even be creative about it - hide it in the background of a Story post or post a riddle for viewers to solve. Instagram ads are incredibly powerful because they look native - besides the small “Sponsored” text above the image, Instagram ads look just like they’re part of a user’s feed. They’re also great because you can add CTAs to them - so even though they look like photos, you can link them to landing pages, content, and more. With the introduction of longer videos on Instagram, the number of things you can achieve with your Instagram video marketing is through the roof. One great way to leverage video on Instagram is to create a product demonstration video. Show people the best (or the most unique) ways to use your product - these kinds of videos are engaging and helpful to your followers. Snapchat is a unique social platform because it’s really not easy for your followers to find you. Make it easy to connect with them on Snapchat by posting your Snapcode (that QR-looking code) on your other social platforms with a CTA like “add us on Snapchat to keep up to date with our latest products!” to drive traffic from other platforms to your Snapchat profile. 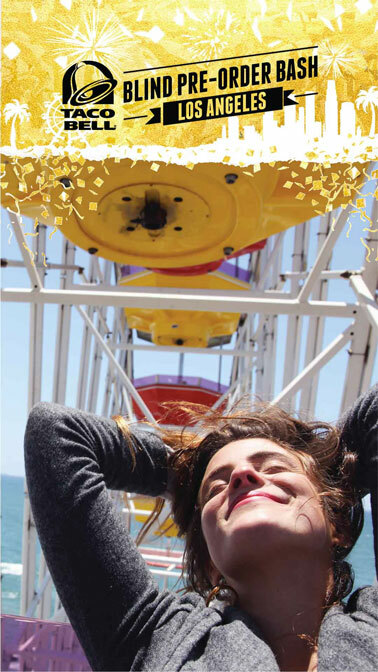 One thing that Snapchat has made available to all of its users is its Geofilters feature. Purchasing an On-Demand Geofilter is a great way to spread brand awareness, particularly if you’re hosting a company event or your company is attending another event. Design a filter featuring your brand and encourage attendees to post to their Snapchat Story using the geofilter you’ve created. Similar to an Instagram takeover, getting an influencer to take over your Snapchat Story for a day can do a lot to build your following. Get the influencer to post about it on their social platforms in the days leading up to the takeover, so users can make sure to add you before it begins. Because users need to add you to see your Story, you’ll be adding a large amount of users to your Snapchat following that you can market to in the future. The great thing about Snapchat is it makes it easy for fans to reach the brands they love. Host a Q&A with your followers by asking them to send you Snaps with their questions. Restate these questions on your Story and then answer them in a video featuring your employees. 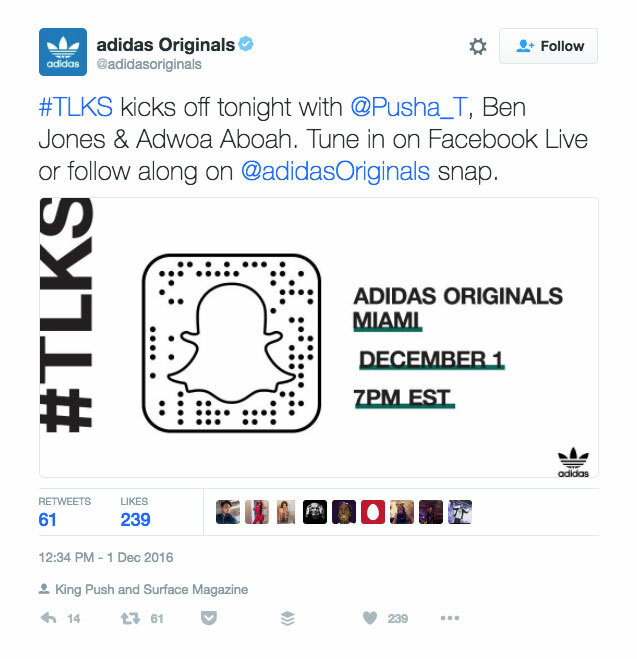 This strengthens the connection between your brand and fans, and is a great way to add unique content to your Snapchat Story. 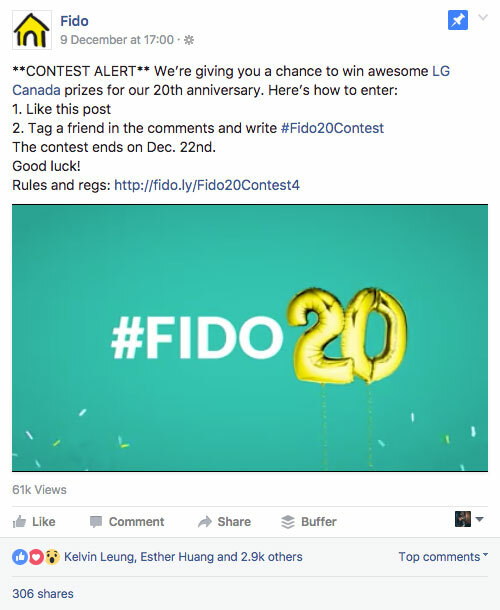 Though Snapchat contests don’t do much for your lead-gen efforts, they’re still good in terms of keeping your Snapchat followers engaged and interested in your products. 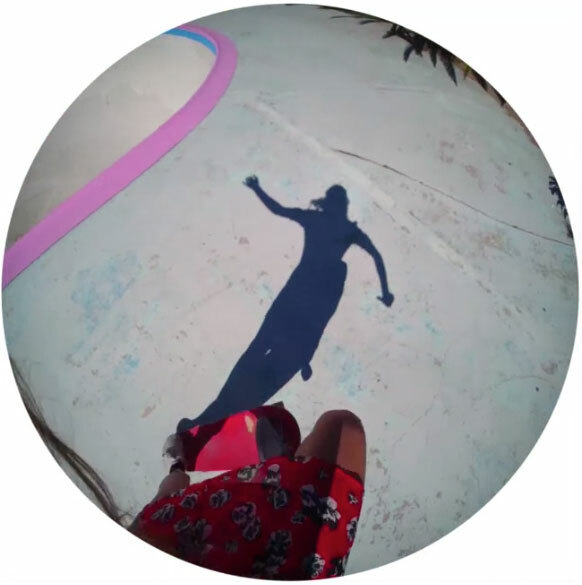 Try running a contest through your Story, asking viewers to Snap you content like drawings or creative selfies with filters. Choose your favorites, repost them on your Story, and reward the winners with products. 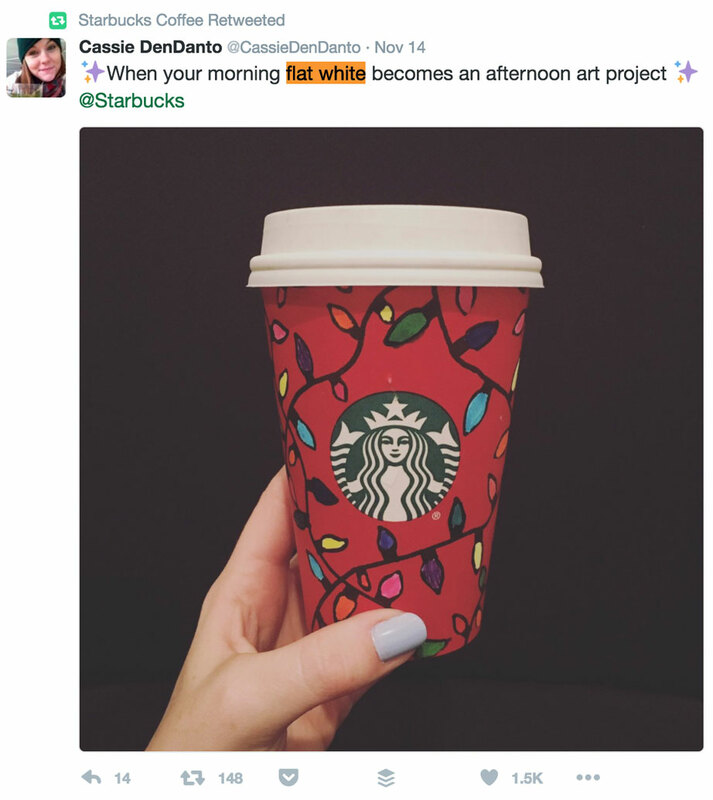 Similar to the previous tip, post a Snap to your Story saying something like “draw us a picture of [brand-related thing] before the end of the day for 20% off your next order!” This helps you collect a wealth of user-generated content that you can use on your other social platforms, and also serves the purpose of helping to persuade followers to become customers. Snapchat is unique because content lasts only a short amount of time and, as a result, you don’t need to worry about them being totally perfect. Use Snapchat as a platform to show off the behind-the-scenes activities at your business, whether that’s daily employee life or a sneak peek at your newest product. Your Snapchat Story is the perfect place to craft a narrative around your product or highlight the people involved with your brand. For example, show what a typical day in the life of one (or more) of your customers might look like, or highlight an employee's favorite products. 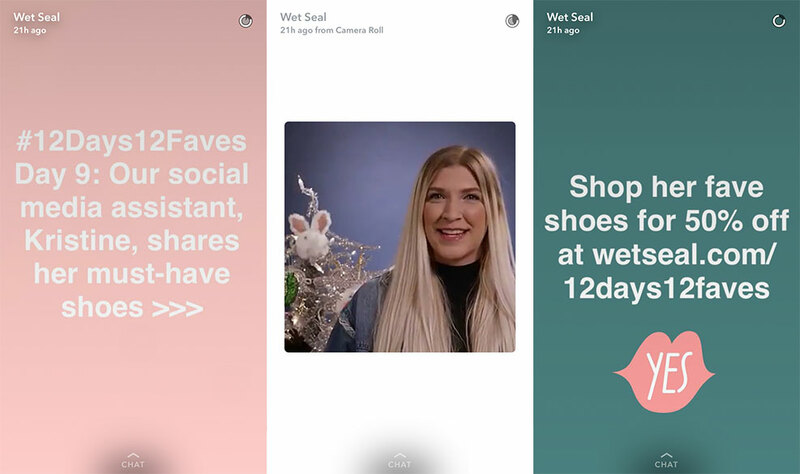 It’s a great, human way to promote your brand, and you can add CTAs as well as a coupon code at the end of the day to reward your Snapchat Story viewers. In case you haven’t heard of Spectacles, they’re Snapchat’s camera-toting sunglasses. They allow you to upload video directly from the glasses to your Snapchat Story - and interestingly, the video Spectacles take is circular, which makes for an interesting viewing experience. Because Spectacles aren’t yet so widespread, take advantage of this by being a first mover and using Spectacles as part of your Snapchat strategy to create unique content. It’s easy to fall off the YouTube train. Post consistently to give new viewers an incentive to subscribe to your channel with the promise of a constant stream of high-value content. Just like other platforms such as Twitter and Facebook, it’s important to post on a consistent basis. People won’t be as interested in your channel if they see you only post once every couple of months. Keep the content coming! Adding an intro to your videos helps to immediately establish the name of your brand to new viewers who may not be familiar with your channel. 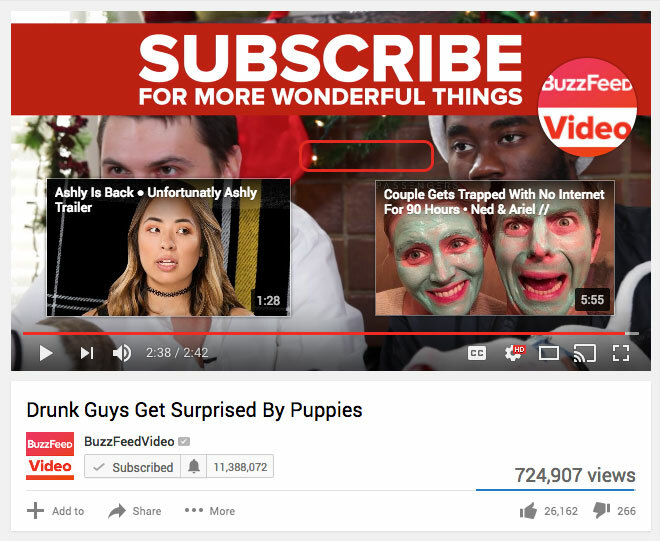 Having an outro featuring your social handles and links to other videos helps to keep viewers watching through multiple pieces of content. Make use of annotations to make your intro and outro interactive. YouTube videos and content can go hand in hand, depending on the way you use them. If your ultimate goal is to direct viewers to your blog or website, link to your content within your video using annotations or in the video description. 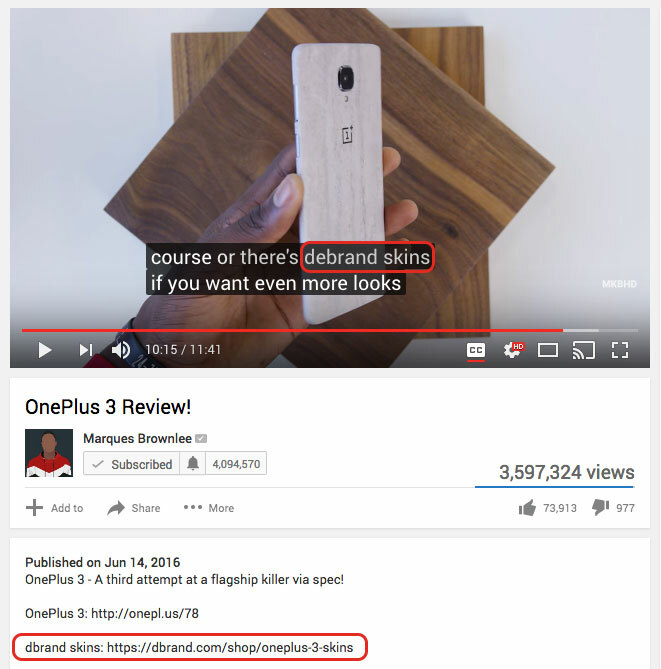 Make sure you say something like “check out the link in the description for…” to direct viewers to the content you’d like them to see. Consider doing a collaboration between your brand and an influential YouTuber with fans who might be interested in your product. Create two videos, one for your channel and one for theirs, and link to each other’s channels in these videos. Get creative with it - for example, if your product is a snack, get your YouTube partner to film themselves trying it for the first time, or making it part of a recipe. Sponsoring big YouTubers in your industry and providing them with a personal coupon code for your store is an awesome way to spread awareness of your brand and increase sales. Though the terms of your partnership are up to you, the most effective sponsorship agreements include having the YouTuber talk about your product for a little while in each of their videos, referencing the discount and coupon code they have. Make sure your brand ambassadors actually like your product - they’ll be more likely to be passionate about promoting your brand if they do. Something YouTube does quite well is analytics reporting. YouTube analytics tells you which of your videos are doing best, how long viewers are watching, and what the major traffic sources to your videos are, among other things. Use these analytics reports to find out what’s working and what’s not, and shape your content strategy accordingly. Find trends in your successful videos and create more content using ideas from them. Though coupons in your video descriptions are great to drive YouTube traffic to your store, you can go a step further by giving coupons or linking to a discount URL at the end of your videos. 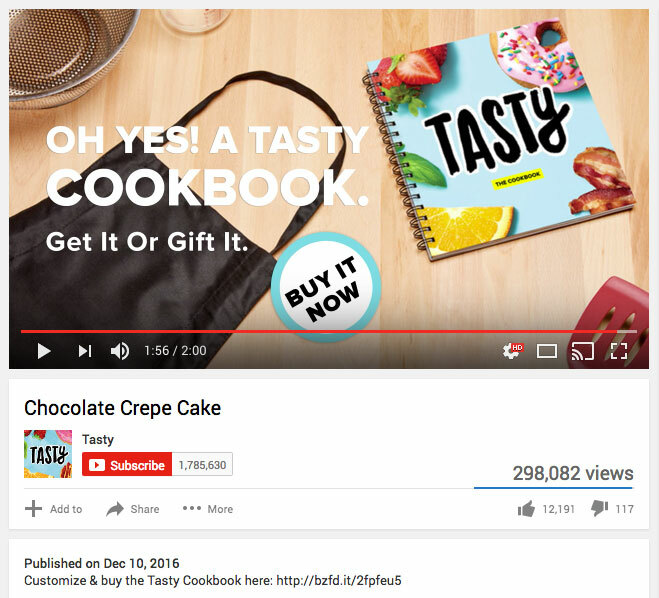 Add a CTA at the beginning of your videos like “keep watching to the end for a special offer” - doing this increases the chance that people will actually watch your content, instead of finding the coupon in your description and leaving. Use annotations to help make your videos more interactive. 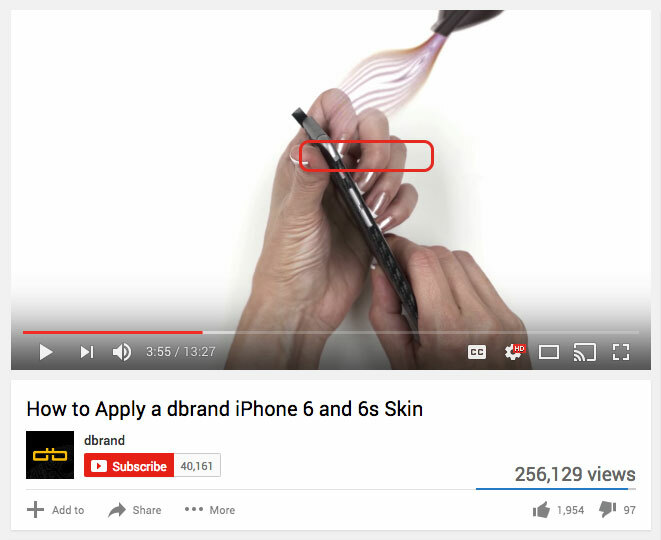 When you feature one of your products, use a video annotation to link your viewers to its product page on your ecommerce site. At the end of your videos, include an outro (like I previously mentioned) featuring previews of other videos with links to them. 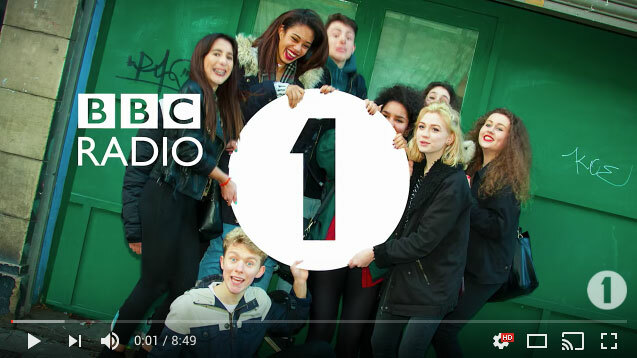 Don’t go overboard - having a video covered in little boxes is sure to annoy your viewers. Something that’s always been big on YouTube is “how-to” videos. Though there are sites like wikiHow, people like to see things being done - I know that I’ve used YouTube to learn things on more than one occasion. You don’t need to create videos directly about your product; instead, create how-to videos on topics related to your product that you think people would be interested in. 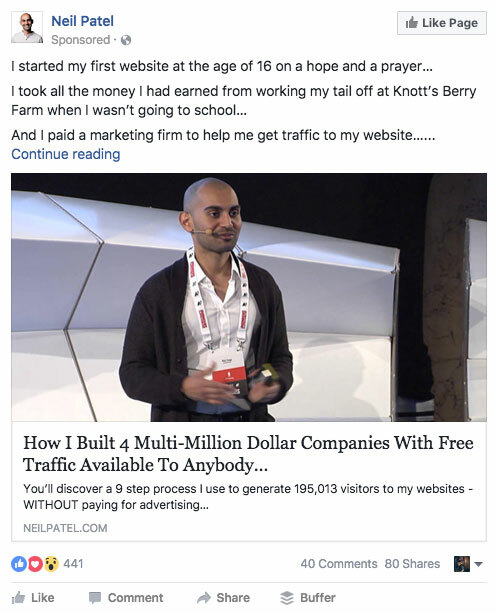 This helps generate more views, which you can then direct to your products. If you’re looking to drive more traffic to your YouTube channel, a good strategy is to leverage the traffic you generate on other platforms. 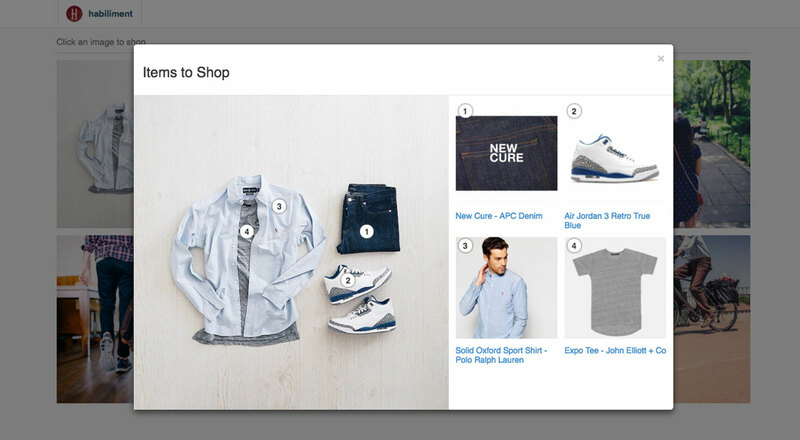 When you launch a new video, feature it on your homepage and create a new blog post for it. Share new videos to your social channels like Facebook or Twitter, or upload short previews and link people to the full content. 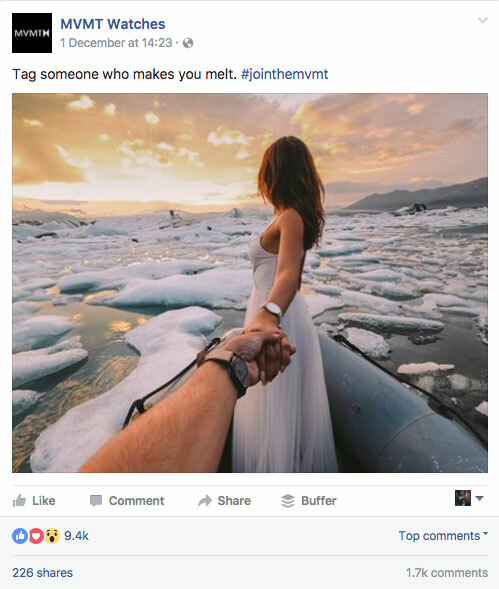 There you go - 50 awesome ideas for your social media marketing. I hope these help you with your social strategy! Let me know which tips were your favorites in the comments below.